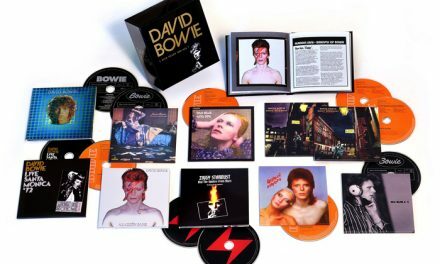 The fourth in Parlophone Records’ series of David Bowie box sets, David Bowie Loving the Alien (1983-1988), is due out on Oct. 21. The 11-CD, 15-LP collection will feature 8 albums from the late rock icon’s most successful run, including remastered versions of Let’s Dance, Tonight and Never Let Me Down (and the 2-LP Never Let Me Down (2018)), as well as a previously unreleased 2-LP Serious Moonlight (Live ’83) live album, a previously unreleased on vinyl 3-LP Glass Spider (Live Montreal ’87) album, the 2-LP Dance remix album and the remastered 3-LP Re:Call 4, which will feature non-album singles, edits, single versions, b-sides and soundtrack music from Labyrinth, When the Wind Blows and Absolute Beginners. The set comes after the release of three previous ones: 2015’s David Bowie Five Years (1969-1973), 2016’s David Bowie Who Can I Be Now? (1974-1976) and 2017’s David Bowie A New Career in a New Town (1977-1982).